Been writing a few reports lately, nothing fancy as the results were more or less =0, e.g. no finds worth mentioning. While doing so I’ve needed to stop by the archives a few times and as soon you’ll open one of those dusty bins you’ll find something fun –that has nothing to do with your current affairs. 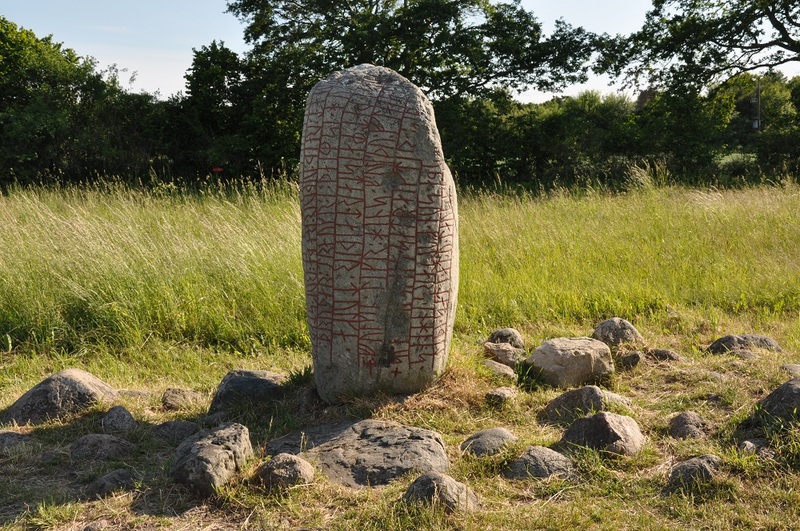 This time I stumbled on a reference of a runic carving in wood. 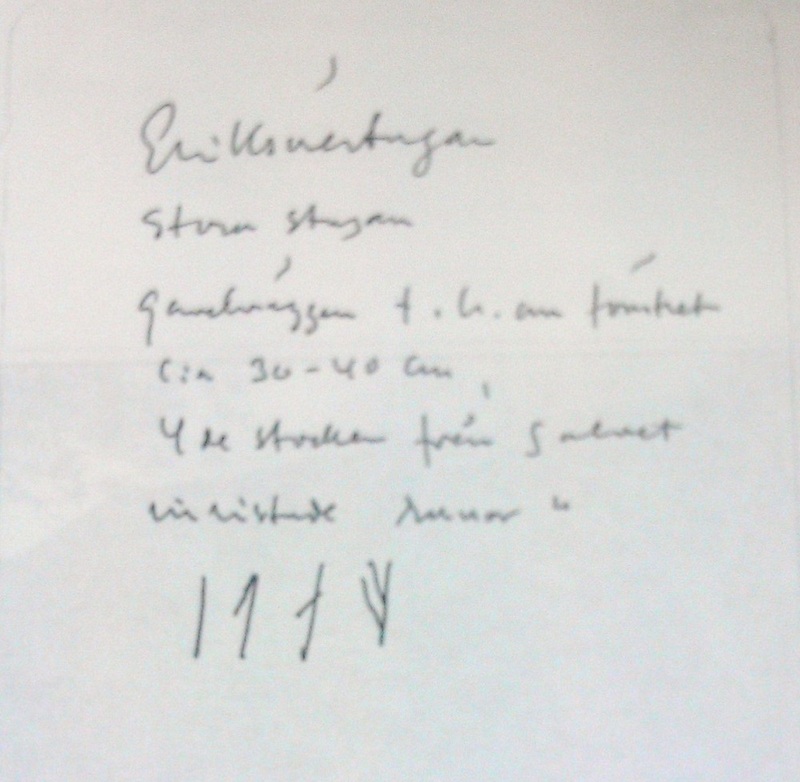 According to the note it should be found at Eriksörestugan aka Kalgrenstugan – a wooden house in Eriksöra at Öland. 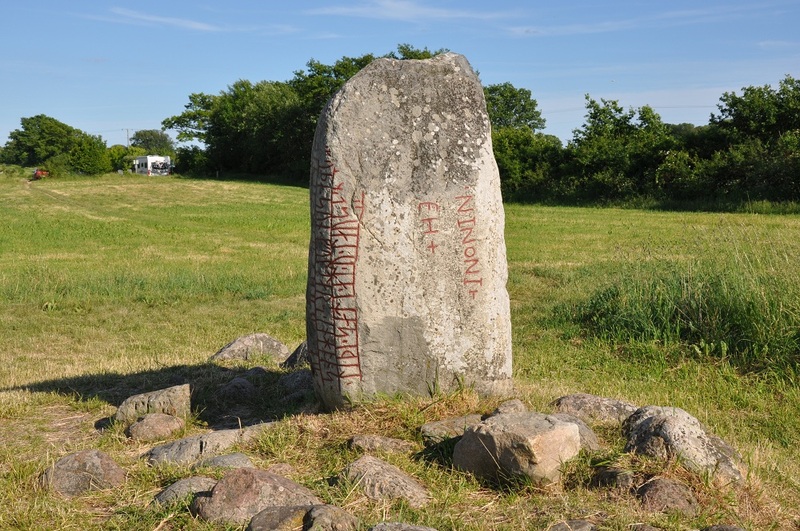 Four runes are mentioned: i t a f, where the last one is facing the wrong direction. 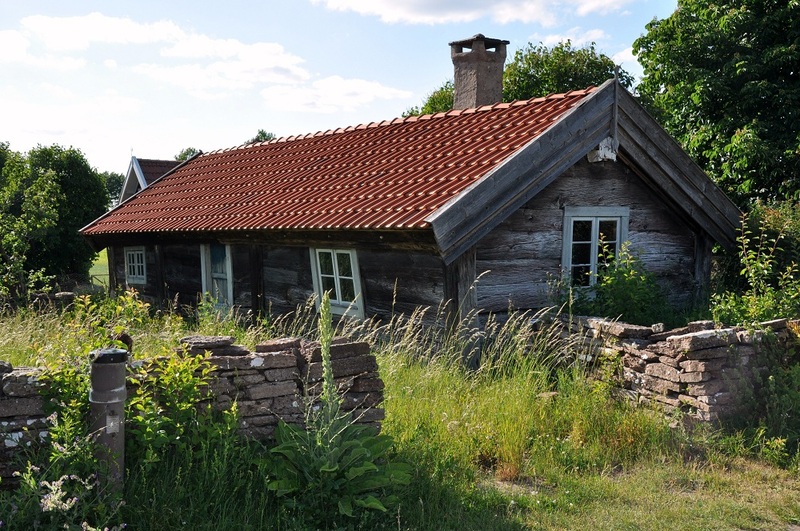 The house is a Ryggåsstuga, a one storey wooden house without inner ceilings. 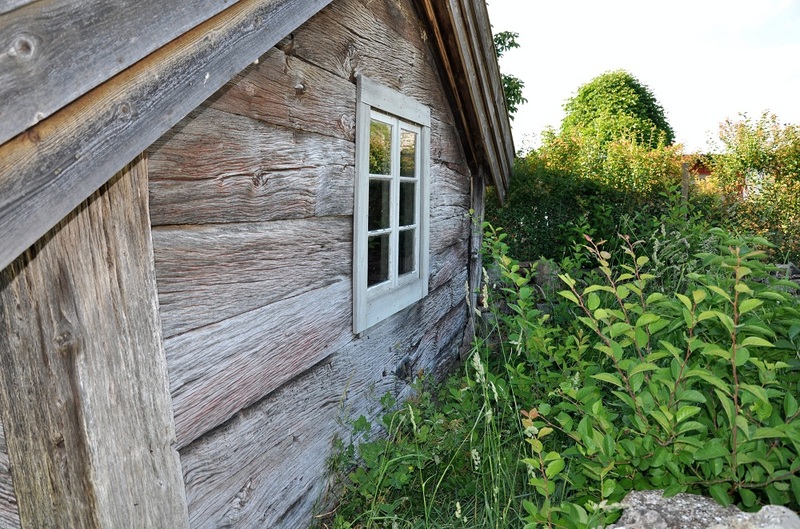 This type of house was common amongst the peasants up until at least the end of the 18th century. Didn’t find much or rather nothing regarding this on the web or in my books. What I did find out is that house was restored in the 1930’s, the note regarding the inscription wasn’t dated but might have been older than that, so it’s possible the inscription is no more. Except from this I’ve found two other inscriptions on Ryggåsstugor, both in Älvdalen, Dalarna County, D Rv314 and D Rv305 dated to 1828 and 1830-1855. Though I don’t know what those inscriptions says. Well if you can’t find it on-line you’ll have to go on tour – Eriksöre here I come 🙂 – I’ll update when I get home! I found the house and according to the note the inscription should be on the short side wall next to the window. 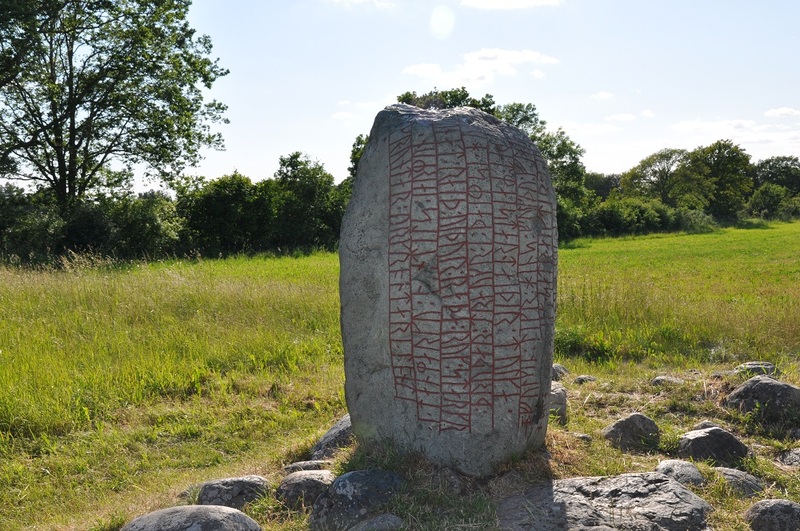 …but I’m sorry to say I couldn’t find any runes 😦 Then again I couldn’t come home runeless so I took a little drive to Karlevi stenen – a nearby runestone. A quite aspecial one at that, the inscription is written in a verse called Drottkvätt and there are also a few latin letters on the side. I’ll get back to you regarding the text in a few days.